Ocean Sparkle (OSL) owns and operates approximately 100 of Harbour crafts, which includes more than 70 Tug boats of varying capacities ranging from 30 tons to 70 tons Bollard Pull. Younger fleet and thrust on regular repair and maintenance ensures high level of reliability which is crucial for Port operations. Operations spread across 28 locations across the Indian Coast, Sri Lanka and Oman, OSL is now trusted partners of many Greenfield project developers including several LNG terminals, crude oil jetties and chemical handling jetties. OSL has the distinction of serving three out of four LNG Terminals of India. OSL has Tug Handling simulators for different types of tugs and Port specific conditions are simulated to impart training to Tug Handlers to practice assistance to the anticipated shape and size of the ships coming to the Port and do the expected maneuvers for berthing / unberthing of ship. In the Initial years of establishment, we had commenced operations by Technical management of tugs i.e. manning, maintaining and operating marine crafts of few clients. Currently we have a fleet of 10 Harbour tugs under our management. Health, Safety and Environment policy of the Company has been extended to all these vessels. Our Pilotage services have been certified as ISO 9001: 2004 by Lloyd's Register of Quality Assurance (LRQA). We regularly conduct highly effective training programmes for our Pilots through state-of-the-art in-house Simulators designed for site specific marine conditions and simulation of various emergency scenarios. Our Pilots have vast experience in handling hazardous and large LNG Tankers, conducting mooring operations, Pull back and other specialised operations. We have an impeccable record of reliable operations without loss of a single day and incident free Pilotage for several years. We provide qualified manpower for manning and operating the radio communication at Ports for control of ship movement and other related communication. The radio operators are responsible for receiving and sending reports to all vessels within the Port, coordinating with ship agents, monitoring movements of all vessels, and alerting appropriate authority during emergency services etc. We provide highly efficient Mooring services headed by an experience Mooring Supervisor to carry out all our mooring operations. 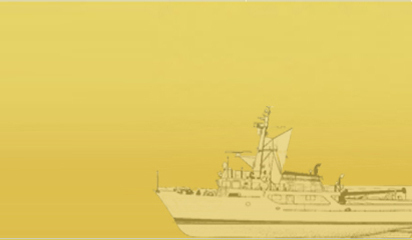 We moor ocean-going vessels of all kinds in a round-the-clock service. We offer our customers service-oriented, expert, flexible operations. The members of mooring the team will either have ship board experience or similar jetty experience. These members are well trained in basic seaman ship, fire fighting, Anti-pollution and life saving techniques. We conduct periodic on site courses in safety, fire and pollution prevention. Regular safety drills are also conducted to ensure a complete understanding of prevention, reporting and response procedure as per contingency management plan of the Port. We also provide Manpower for the upkeep and maintenance of Navigational Aids. Experienced senior engineer along with Technicians and Divers are deployed for Maintenance of Navigational Aids and buoys on periodic basis during all the projects. 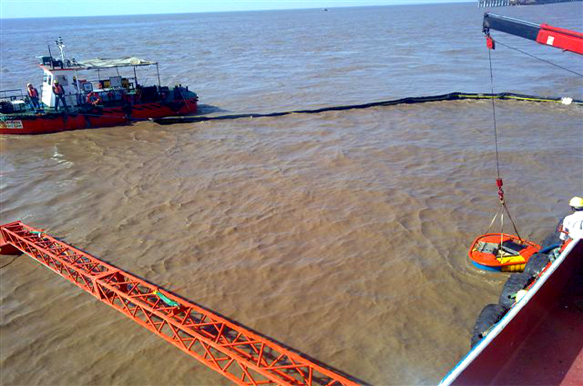 We own, maintain and operate a huge spread of Oil Spill Response equipments like air inflatable booms, Skimmers, floating tanks, Oil Dispersant sprayers to assist in containment of oil spills at various operational sites. Having a diversified operational experience and many oil spill experts on roll, we are geared to provide our clients a safe and effective International practice of Oil spill Management. Preparation of Manuals such as Port Operation Manual, Disaster Management Plan etc. Pl note: The services like Pilotage Services, Ship Traffic and Communications, Mooring Services, Maintenance of Navigational Aids and Buoys, Oil spill Response Services, and Preparation of Manuals are provided only as part of Comprehensive Port O&M Services (Harbor Towage operations by provision of Harbour crafts and Technical Management of Harbour Crafts), and not on standalone basis.